Frijolemole is a spicy chickpea dip with an interesting crunchy texture eaten in Mexico. 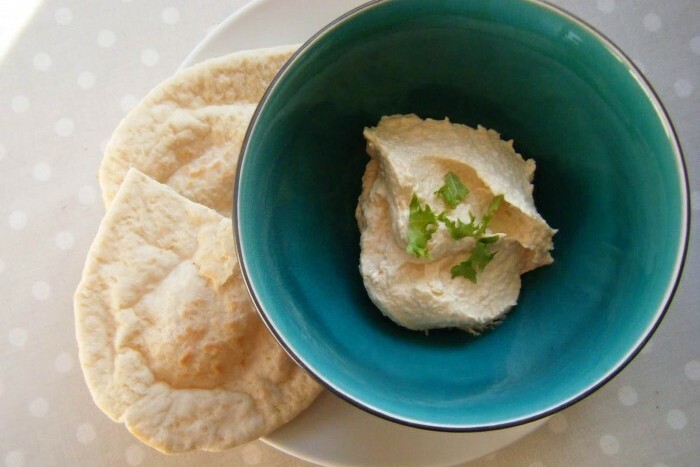 Try it with bread sticks, vegetable sticks, or toasted pitta. Knife Skills (Bridge & Claw); Using measuring spoons; Using the hob (under adult supervision only); Fine chopping of herbs; Mashing; Seasoning to taste. Knife, chopping board, frying pan, measuring spoons, food processor, bowl. Heat the oil in a small frying pan and gently sauté the onion for 5 minutes, then add the garlic and cook for another 5 minutes. 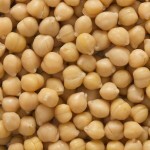 Place the chickpeas in a food processor along with the sautéed onion and garlic and any oil left in the pan. Add the lime juice and blend until you have a smoothish puree - if necessary add a couple of tablespoons of water. Empty the content of the processor into a bowl and add the tomato, chilli, spring onions, Tabasco sauce, coriander and fromage frais. Taste to check the seasoning and add Tabasco or pepper if it needs a little more of a kick! Cover the bowl and chill until needed. Garnish with some flat-leaf parsley. 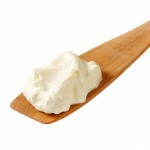 Fromage Frais is a type of smooth fresh soft cheese with the consistency of thick yoghurt. It is an excellent source of protein and calcium. or drink to the Reference Intake for each nutrient is expressed as a percentage.